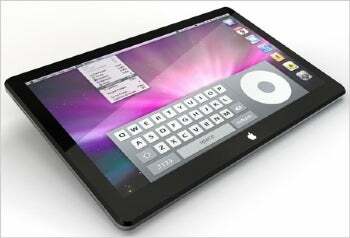 The hype surrounding Apple's rumored tablet continues to grow and expectations for the device are high. The latest is that this magical device will be able to save old media as it tries to adapt to the digital age -- something that sounds a little far-fetched to me. In the Wall Street Journal's latest report on the tablet, one point stood out: Apple wants the tablet to do for books, newspapers, and video what the iPod did for music -- that is, repackage the media so people buy more in digital form. It's what the Journal calls "a longstanding strategy of devising new ways to access and pay for quality content, instead of reinventing the content." Old media outlets of all kinds are reportedly jumping on board. HarperCollins and other book publishers are negotiating e-book distribution, television studios are mulling a monthly subscription service and newspapers such as the New York Times could contribute content. All of this is great for Apple. That content, properly packaged, will look wonderful on the tablet. Surely, it'll help sell more devices. But will the tablet save old media, as some have predicted? I'm not convinced. Consider the iPod. It changed music consumption, it transformed the industry, yada yada yada. But what's this? Music revenue is down 9 percent in 2009, even as digital musicsales rose 10 percent. Praise the iPod all you want, but it hasn't turned the ship around for record labels. They blame piracy, an argument I don't totally buy, but if they're right, the books and television industries will face the same problems. Going forward, books will also struggle with digital versus physical media. E-books sell for less than hard copies, a fact that HarperCollins wants to avoid by selling premium e-books with special features, such as audio interviews and video. But the idea that people will pay more for that extra content is misguided. It's the same flawed logic that caused Fox to pull special features from its rental DVDs in order to encourage more sales (the studio subsequently backed off the idea). Speaking of video, it's unlikely that television studios will see the tablet as a replacement for cable. The licensing fees they make from cable companies are far too lucrative, and the Journal suggests there's already friction between Apple and studios because Apple only wants to license the best content, not all of it. And don't get me started on news. The New York Times and others will likely expect tablet users to pay for subscriptions, but will anyone bother when you can access so much content for free on the Web? Old media has too many problems of its own for any hardware device to come along and be a savior. Studios and publishers are too heavily invested in their old ways. No matter who repackages their content, and how they do it, at the end of the day, old media won't be satisfied. They seldom are.